In 2006 whilst studying photography at Brighton University the careers service commissioned me to photograph all of their campuses. I was surprised to find out they had one in Hastings. I took the hour-long train journey, made one image of the campus and several of Hastings disused pier. 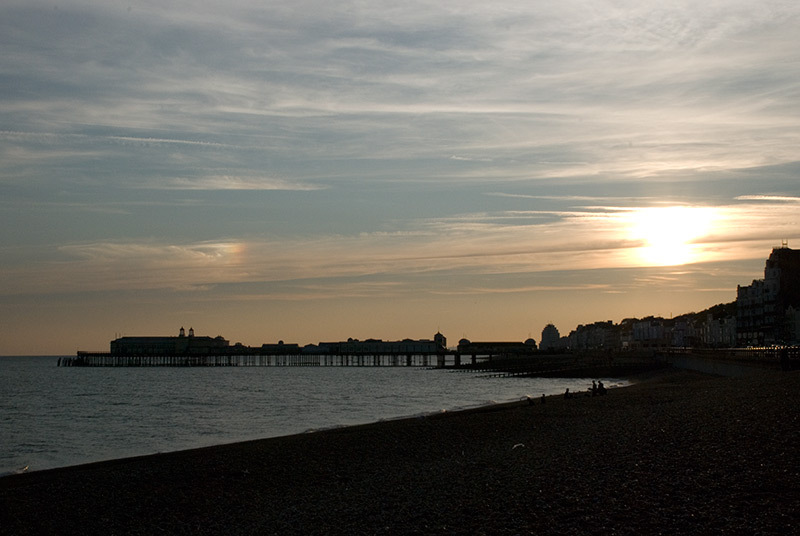 On Tuesday, October 5th, 2010 Hastings Pier was destroyed by fire: Two teenagers were detained on suspicion of arson but later released due to lack of evidence. I felt compelled to go back and have a look at what was left. I found a great deal more than the charred remains of 1930's pleasure pier. Hastings appealed to me. I kept going back for three years with an instant camera to look around and create credit card sized images. To me they are latter day daguerreotypes. Tangible images made by light hitting the emulsion, no intermediary film or sensor involved. The size and process make them delightfully intimate, a reference to my sentiments about the town itself. I'm delighted to say the pier has been rebuilt.